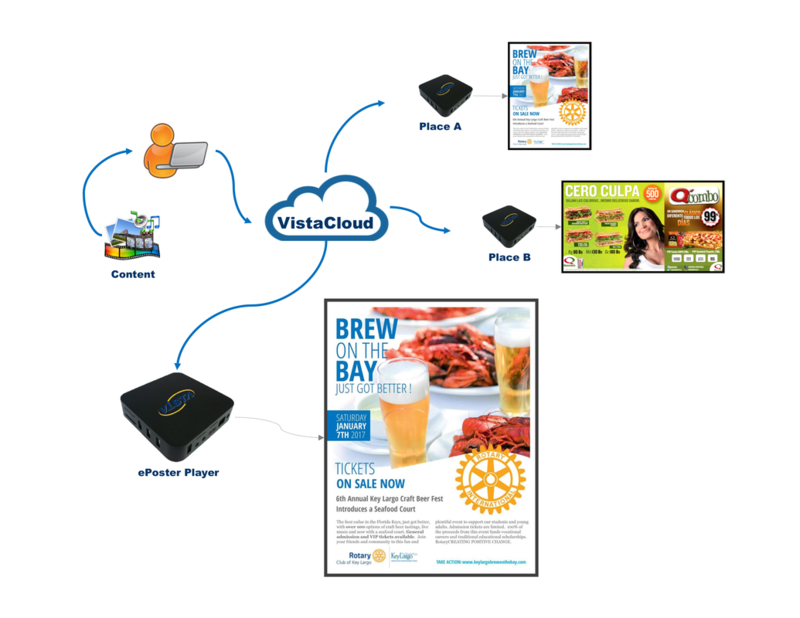 VISTA Digital Signage is a multimedia content generation system to be displayed on any TV or Monitor. All the multimedia content can be edited by administrator with the option of being part of our international advertising program. 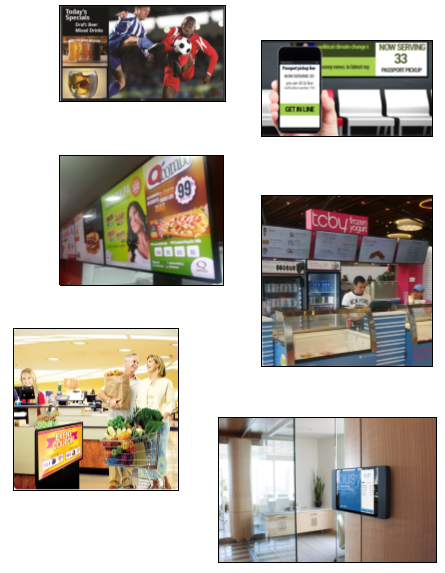 This solution is ideal for areas where customers or visitors can be well informed and entertained at the same time, perfect applications are for Corporate buildings, Bars and Restaurants, waiting rooms, Corporate buildings, etc! VISTA DS solution is a very simple to use application, JUST NEED player (runs on Windows 7 and Android devices), display that can be any TV or monitor with HDMI 1080p and Internet access for content updates! Deploy VISTA DSS in no time, just follow the steps described below, our team will guide you to a simple process to have your interesting content live on your displays sooner and less expensive than you think! No local or cloud console for you. No special skills for design. Just send us an email, and we do the rest! Once your player arrives, our support team will guide you to configure your wiFi connection and installations details! we use almost any chat and calling method for your convenience. - Customer provides content and details (email) based on a model provided by VISTA. 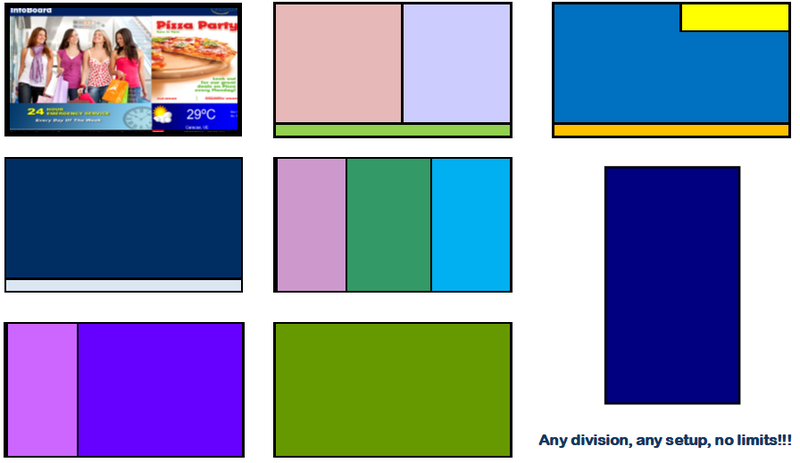 - VISTA publish the provided content on displays. Monitor system operations and Players Status. Notify customer in case local tasks are needed. Attend customers in any requirement regarding system, players or content. Bring support for any issue with Players or system. Available from Monday to Friday, 8:00 am to 5:00 pm (+4:00 GMT). VISTA offers an integrated service covering all the involved stages in order to obtain the right solution in your property, after retrieving all the relevant information, we will design the solution along with a proposal for providing and installation as well as an operation and maintenance plan. Contact us now to start your iMap/Directory design for your property, empower your sales and marketing efforts offering more and better information to your customers and visitors!